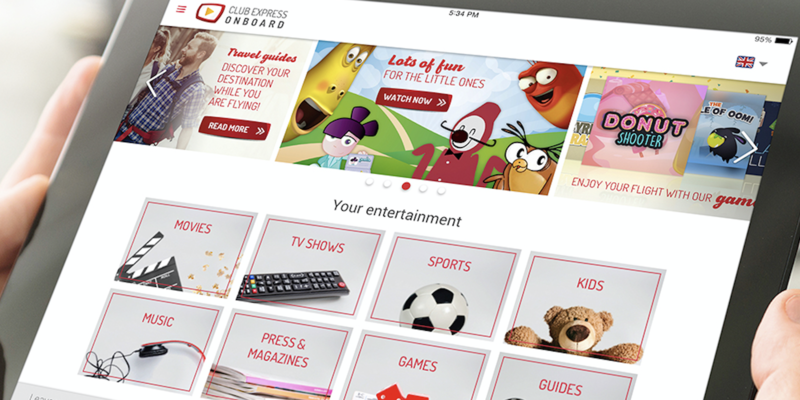 You are at:Home»News»In-flight Entertainment»Is Iberia Express’s IFE investment paying off? Is Iberia Express’s IFE investment paying off? In 2014 Spanish low-cost airline, Iberia Express, became the first client for Immfly’s IFE and digital services platform, which has since been installed right across its fleet. But while this marks a success for Immfly, has it also been a success for Iberia Express? We can now find out, as the airline has shared its statistics for the system, including how the investment has influenced its Net Promoter Score (NPS), a measure of loyalty in the airline’s customer relationships. In 2016, Iberia Express asked passengers a general question to verify platform use and overall satisfaction with Immfly’s IFE and Digital Services platform. From the beginning, according to the airline, 31.6% of respondents gave the platform a top three score (scoring the service an 8, 9, or 10 out of 10), with a perceived level of quality (PLQ) of 5.4 out of 10. The airline regards passengers who give the CXO system a top 3 score as “fans” of the platform. Within 12 months, 2017 survey results showed that platform fans were on the increase, up to 35.5%, and PLQ scoring rose to 5.8. The survey was also expanded to include questions on usability and content. By 2018, the survey grew to include responses from over 10,000 passengers, and the positive trend in the share of highly satisfied platform fans continued, with 44.5% now giving the Immfly platform top marks and PLQ reaching 6.1. In addition, both usability and content metrics saw significant percentage-point increases according to the partner’s released figures, with differences of up to +15 points in a single year, following continuous improvement efforts in partnership with Iberia Express. Perhaps most interestingly, the overall NPS of platform users is higher than those who don’t log into the platform, which is reflected in their positive qualitative feedback that flights seem shorter when they can enjoy entertainment or the web. “Passengers are very happy with the increased content available on the platform, and their customer scores reflect that improvement. As a consequence, they are spending an average of 50 minutes per flight on the platform, an increase from the previous 30 minutes. In particular, our customers love the selection of films and TV shows”,​ stated Paloma Cabañas, head of customer experience and inflight services at Iberia Express.